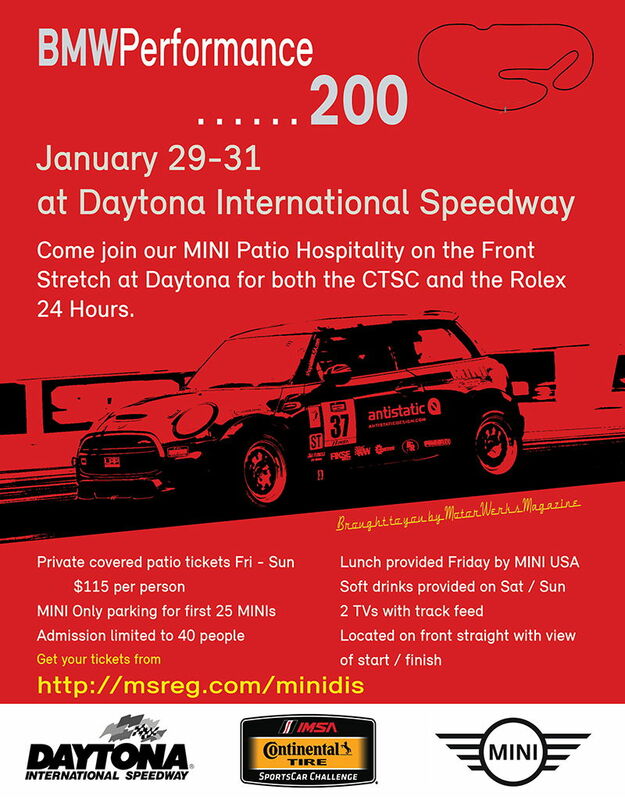 The MINI JCW Team and MINI USA have a special offer for this year’s CTSC Daytona race. The MINI Trackside Patio Experience includes food, corral parking,a covered viewing area, and a meet and greet with the drivers. The best part is this includes the Rolex 24 in addition to the CTSC race. Pricing seems to be a very reasonable at $115 per person. If you want to enjoy a one of a kind experience be sure to register. But hurry, registration ends today at midnight!